Nova Scotia officials say they need more time to ascertain if the ferry should win another contract. 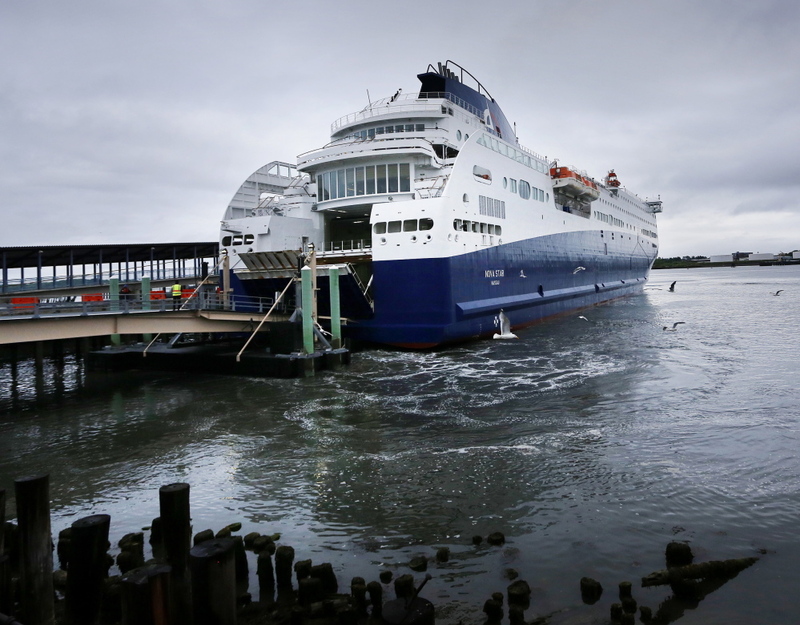 The province of Nova Scotia said Thursday it will take more time to determine who will run the ferry that crosses the Gulf of Maine between Portland and Yarmouth, Nova Scotia, next year. Provincial officials had been expected to announce this week whether they would continue to support the struggling Nova Star, which is in its second year of operation, or go with another ferry company. Nova Star and three other companies have expressed interest in operating the summer ferry service next year, said Geoff MacLellan, the province’s minister of transportation. MacLellan said the province will continue to work with Nova Star for the rest of this season, which runs through Oct. 14. But he said he wants to take more time to decide which company the province will back next year. In a phone interview, MacLellan said there’s no firm timeline for making a decision. “We’re not necessarily waiting until the end of the season, but it may take that long,” he said. 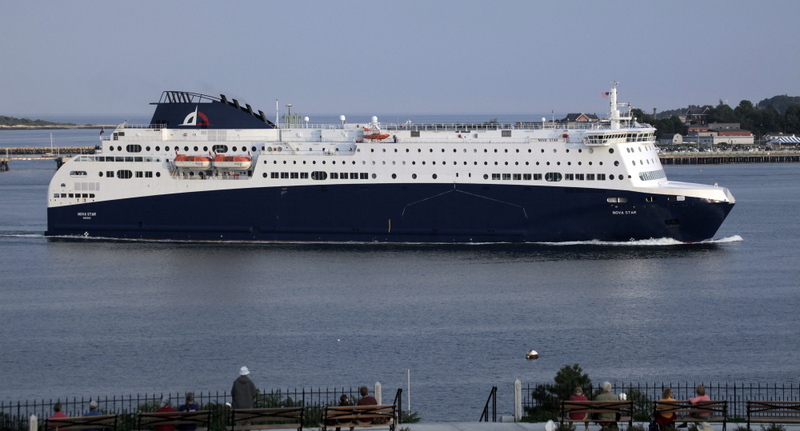 Mark Amundsen, president and chief executive officer of Nova Star Cruises, issued a statement Thursday afternoon saying the ferry line respected and appreciated the province’s decision to hold off on naming a ferry operator for next year. The delay reflects the difficulty the province finds itself since reviving the ferry service after a four-year hiatus. The ferry service is considered crucial to the tourism industry in southern Nova Scotia because the area is remote. Without the Portland-to-Yarmouth run, reaching Nova Scotia would require a long drive through eastern Maine into New Brunswick, where travelers can take a ferry to a northern part of Nova Scotia. “The province is between a rock and a hard place,” said Christoper Wright, a retired ferry consultant in Digby, Nova Scotia. It seems clear that almost any ferry operator will need a subsidy, Wright said, and the province is pretty much committed to providing the financial help. Pull the plug, he said, and officials will have to explain to voters why they put so much money into the operation – about $41 million by the end of this season – with nothing to show for it. And, Wright said, there aren’t a lot of ferries in the world with owners looking for new summer routes. The U.S., he said, has strict safety standards that can be expensive to meet and the Portland-Yarmouth run has fairly high built-in costs. Because it includes an overnight crossing on the Portland to Yarmouth leg, the ferry has to have cabins, a restaurant and entertainment. Smaller ferries can be cheaper to operate, but may not offer the amenities to attract passengers. He said that was why two larger vessels – the Prince of Fundy and Scotia Prince – operated between Portland and Yarmouth from 1970 to 2004. “The whole idea behind the Prince of Fundy was you got on, you had a nice dinner and wine, you went to sleep and in the morning, you were on vacation,” Wright said. Gary Andrews, another ferry consultant, said the province may be wrestling with whether to try to continue with a service that offers more amenities or go with one that provides a bare-bones approach. MacLellan said Nova Scotia expects it will need to subsidize the ferry service again next year, but the amount depends on who runs it. He said the service is important, but the goal is to keep the subsidy to a minimum and to come up with a figure that is sustainable and consistent. Talks with Nova Star and the other potential operators are continuing, MacLellan said. He declined to identify the other operators who are involved in the discussions. Lackluster ticket sales have led to speculation that the province will seek a new operator. Nova Star sold 21,871 tickets in June and July this year, up slightly from the 19,822 it sold during the same two months last year. But the goal for this year was 80,000 tickets during the four-and-a-half month sailing season and MacLellan said it’s clear Nova Star will fall short. Subsidizing the ferry has proven costly – the province spent $28.5 million (Canadian) last year to support Nova Star, including a complete drawdown on a $21 million loan that was intended to last seven years. This year, the province has limited its subsidy to $13 million and the company has drawn $8.1 million so far this season. 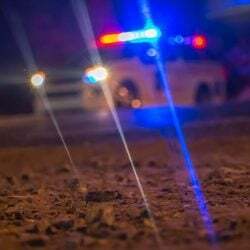 In his statement Thursday, MacLellan said ferry officials have been slow to provide the financial information that the province is requiring before it will release more funds. MacLellan said the province has finally received the 2014 financial information it has sought for months, along with 2015 information. He said the province won’t supply any more cash to Nova Star – it’s seeking another $2.5 million – until officials review the information.